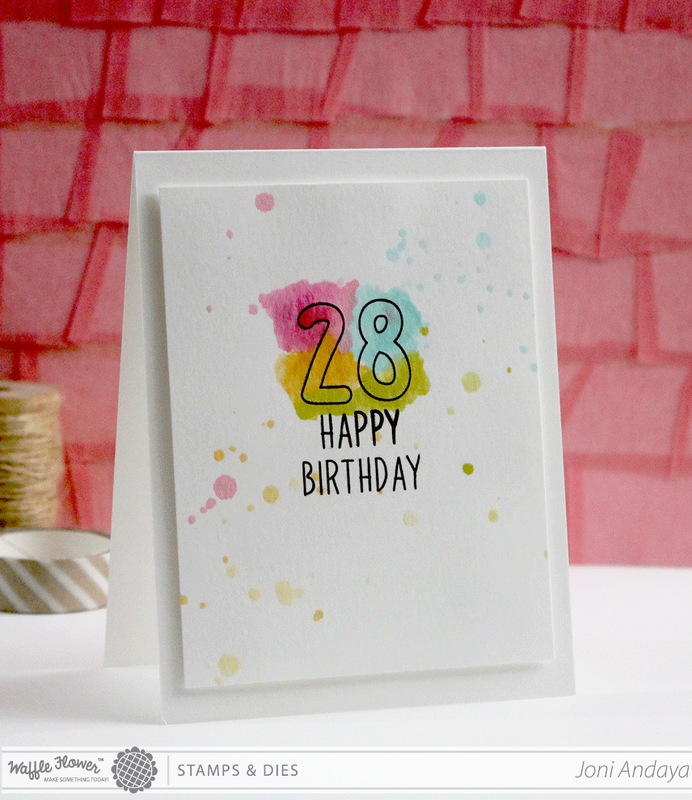 Hello Everyone...I am sharing an easy to make watercolor card using Waffle Flower Crafts Calendar Numbers and Bowtiful stamp sets. To begin my card I first stamped the numbers and sentiments with Versafine Black Onyx ink. This ink seems to work when I do watercolor. I let it wait for a few minutes (5 for me) sometimes I used a heat tool to dry. 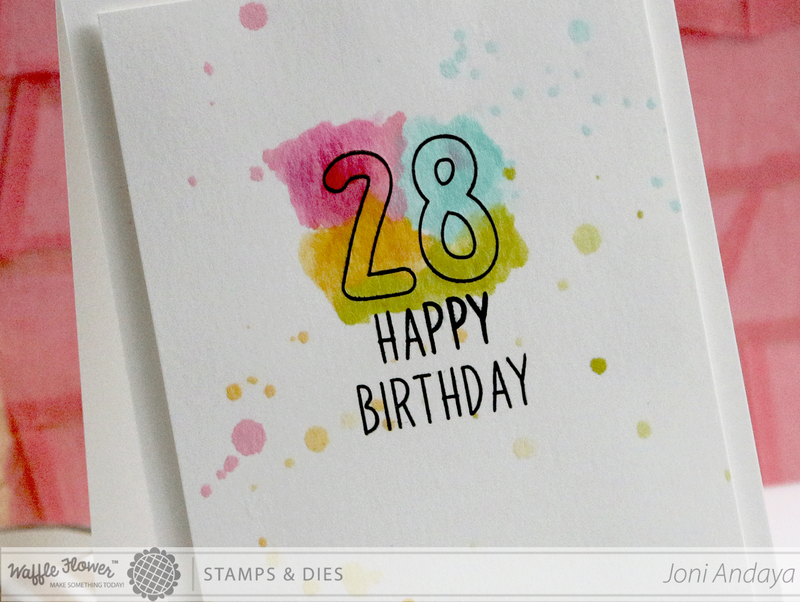 Next, I added my watercolor and added some splatters from the watercolor ink to finish the card. So beautiful! LOVING the colors!!!!! You sure know how to incorporate white with splashes of color! A great WoW effect. Love it. So simple and soo wonderful!